The flights are scheduled to start March 31st and will run on Monday, Wednesday, Friday and Sunday on a Boeing 787-9 Dreamliner with options for two-classes of seats. RIO DE JANEIRO, BRAZIL – This morning, November 27th, Norwegian Airways announced it will offer non-stop flights between London Gatwick and Rio de Janeiro–Galeão International Airport for just US$306.22 each way. The low-cost carrier is betting on long-haul routes, and will offer four weekly trips starting March 2019. Norwegian Airlines is betting on low-cost long-haul routes, and will offer four weekly London-Rio trips starting March 31, 2019, photo internet recreation. The Norwegian Airlines flights are scheduled to start March 31st and will run on Monday, Wednesday, Friday and Sunday on a Boeing 787-9 Dreamliner with options for two-classes of seats. Flights will depart London at 12:00 Noon, arriving in Rio de Janeiro at 7:25 PM, while outbound flights depart Rio de Janeiro at 10:25 PM arriving 1:35 PM at Gatwick the next day. Gatwick is the second-busiest airport in the United Kingdom, after London Heathrow. The Norwegian company is Europe’s third-largest low-cost carrier and had applied for authorization to operate in Brazil last July. It was the first official request of a foreign low cost airline in the country. 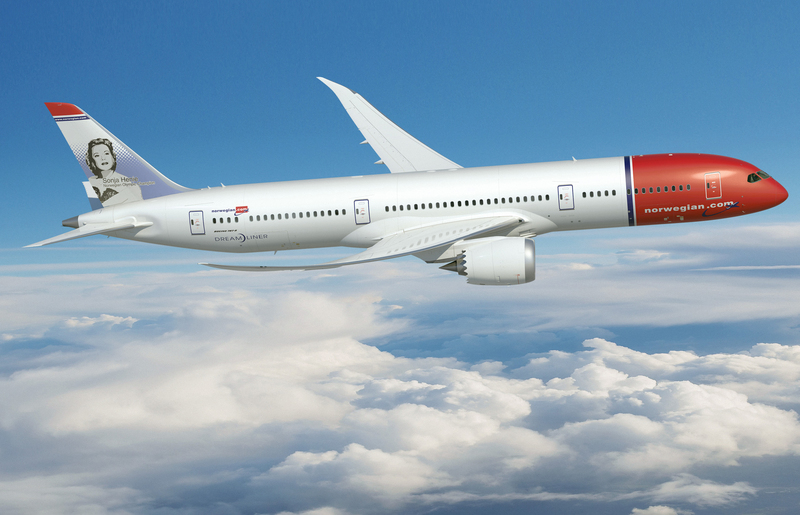 Norwegian is gambling on long-haul routes, a new business model for low-cost airlines. Until recently, low-cost companies were doing short or medium-range routes, where fuel and crew costs are lower, and in which they charge for practically everything but the travel itself, baggage, seat assignments, refreshments and ear phones. In recent years, the fall in oil prices and technological advances, which have allowed the development of more efficient generations of aircraft, saving 20 ​​to 25 percent of fuel consumption, have enabled these companies to take risks on longer routes. In August Norwegian Airlines announced they will operate direct flights from Europe to three destinations in Brazil: São Paulo, Rio de Janeiro and Fortaleza. Representatives of the Brazilian Ministry of Tourism met in Stockholm, Sweden, with the company’s Communication Director, Charlotte Jacobsson, to discuss the issue. The company had already announced that it was analyzing Rio de Janeiro and São Paulo as destinations. In the meeting with representatives of the Brazilian government, Fortaleza was also first mentioned, which is the capital of the state of Ceará.